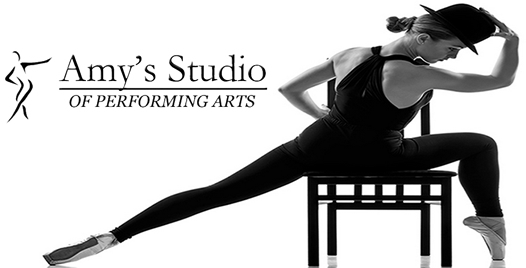 We applaud Amy's Studio of the Performing Arts for their unwavering support and promotion of the performing arts. In appreciation, our $35 application fee is waived for all staff, families, students of Amy's Studio of the Performing Arts. Likewise, wonderful tuition discounts are extended as well. Upon the completion and submission of your application we will immediately begin the enrollment process. So that we may provide you the best possible music education, please answer all questions thoroughly. Thank you Amy's Studio of the Performing Arts! Please select all days and times that work well for you to attend lessons. Tuition and fees must be paid before a student can begin taking lessons; students are not considered registered until a tuition payment has been made. There is a non-refundable application fee of $35 per student (waived). Tuition is charged for the full semester however payment plans with additional fees are available. Tuition discounts (up to 10%) are available at the time of enrollment. Payment plans are administered through Intuit’s automated processing Center using a MasterCard, VISA, Discover Card or American Express. All tuition and additional fees, are non-refundable. A $20.00 fee will be assessed to Student’s account for any returned checks. DSM reserves the right to suspend instruction when students do not meet their financial obligations; students are still liable for the full cost of instruction. Make-up Lessons: Student can re-schedule two (2) lessons a semester using the vouchers provided at the beginning of each semester; all rescheduling is initiated by Client and done through our Website. Client is responsible for tuition regardless of whether Student attends any lessons. DSM does not guarantee a full lesson time if Student is late to a lesson. Schedule/Faculty Change: Throughout the duration of this enrollment, requests for schedule changes may be made. If the day, time, and faculty of a requested schedule change are available, DSM will execute the first schedule change free of charge; a $15.00 fee will be assessed to Client’s account for each and any subsequent schedule change. Currently scheduled lessons continue without interruption until the requested change becomes effective. DSM reserves the right to substitute and/or change Student's Faculty at any time. Instruments and Supplies: With the exception of pianos and percussion instruments, Student must supply his or her own instruments; amplifiers will be available for electronic instruments. DSM provides 24/7 educational support (Mavenlink) and our dlp Digital Music Books free of charge; Student is responsible for any additional educational supplies and teaching materials assigned by the Faculty, such as software, books, and sheet music.